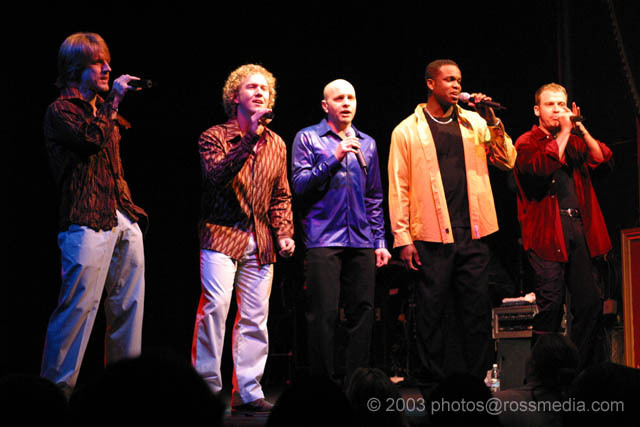 March 11, 2005--Tuesday, March 22, Rockapella will perform at the Fowler Center, 201 Olympic Dr., on the campus of Arkansas State University in Jonesboro bringing their unique blend of soul, rock, jazz, and rhythm and blues to northeast Arkansas for the first time. Most everyone has heard Rockapella’s music either from the longest running show on PBS, “Where in The World is Carmen Sandiego,” or from their famous series of Folgers Coffee commercials during the 1990s. The performance will begin at 7:30 p.m. Tickets are $25 and $20 for adults, $18 and $14 for ASU staff, senior adults and students, and $9 and $6 for ASU students. Tickets may be purchased at the ASU Central Box Office or by calling 870-972-2781 or online at http://tickets.astate.edu. Rockapella began in the late 1980s in Providence, R.I., with a few young men singing as a collegiate hobby and quickly turning into a national phenomenon. The original quartet was formed for the sheer love of performing and then singing on the New York City street corner with a hat out at their feet. Rockapella’s unique blend of harmony is a sound like no other. One thing led to another and in the 1990s, their contemporary a cappella music landed a spot on television with PBS. Ultimately they were the perfect style for the music to the award-winning PBS show, “Where in The World is Carmen Sandiego?” Soon thereafter, live appearances and collaborations with major artists began eventually landing them a record deal in Japan. In 1992, the band headed toward a “fuller” sound seeking auditions for a 5th member to the group. As the 1990s progressed, the five-man powerhouse whose sound had become so infectious throughout the United States, shows were selling out and appearances for concerts were in high demand. 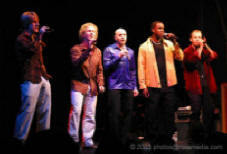 Over the years, Rockapella has produced nine albums in the United States with another 10 albums in Japan and collaborated with others to complete an additional seven albums. Following the concert at ASU, Rockapella will appear in the upper Midwest and in venues on the East Coast to finish out the remainder of the year. For more information, please contact the Fowler Center at 870-972-3471. The next Fowler Center performance this year is the Arkansas Symphony Orchestra on April 26.